With Thanksgiving and Holiday season coming up, many bakers are searching for great cookie recipes to serve their family and friends. Well, look no more! Here are the most festive peanut butter cookies online. 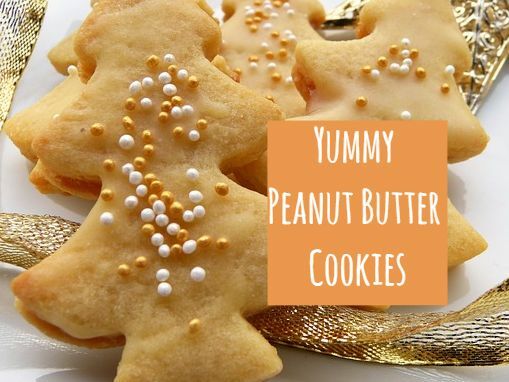 We're sure everyone in the brood will love them because... two words - peanut butter! "The cookies are soft, thick, puffy, and will melt in your mouth. They are not hard or crunchy like traditional peanut butter cookies. In fact, they get softer on day 2 and day 3." "A tad laborious (like all Cooks Illustrated recipes!) but the end results are second to none and pack HUGE peanut butter flavors. Super buttery, great texture from the chopped nuts and crunchy peanut butter, slightly crisp on the outside, chewy on inside….yummy." "The possibilities are endless of how this one cookie recipe. I Chocolate dipped some and added peanuts. I pressed others with a fork for crispier cookies. I filled some peanut butter cookies with a delicious peanut butter filling for a homemade Nutter Butter, others got a chocolate drizzle, and some even got colored sprinkles, which are perfect for Valentines Day for someone you are NUTS for." Love baking cookies? Invest in good quality silicone baking mats. Not only are silicone mats sturdy and durable. Because they're non-stick, you can also cut your clean up time in half.